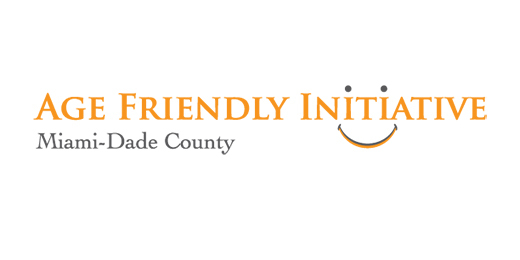 The Miami-Dade Age-Friendly Initiative (AFI) is a collaborative effort focused on sustainable changes and efforts in order to create a community where older adults of all ages can stay active, engaged, and healthy with dignity and enjoyment. Miami-Dade County recently joined the AARP Network of Age-Friendly Communities, making it the fifth largest community in the country to join the network. Guided by the Miami-Dade Age-Friendly Initiative the community has been implementing a collective impact framework to meet the needs of older adults since 2012. UHP has been involved with the AFI since its inception and intitially led projects at the neighborhood and policy level. One of the initial projects UHP worked on was the Safe Routes to Age in Place project and Age-Friendly Business District in Little Havana. Today, UHP is a lead agency and also serves as the coordinating agency for the Initiative, continuing to lead strategies and collaboration as we work toward a more age-friendly Miami-Dade. Learn more about the Initiative at www.AgeFriendlyMiami.org.